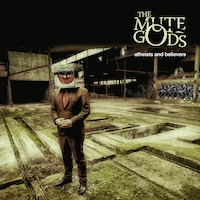 The Mute Gods that speak volumes to all who enjoy good music returns with their third album. The first one was highly regarded by us at Hallowed while the second was less enthusiastically received, so how about this third one that is aimed at atheists and believers? It doesn’t have the bestest and coolest of artworks but it has an excellent opening title track. It has ten tracks and plats for a little bit under an hour, and it is a very good album. Progressive rock is what it is, not the overly complex one with long tracks but simpler with strong melodies and a very good depth. The album is varied as well; the tempo is quite low varying between slow songs and midtempo ones but still with a sing-along quality to them. 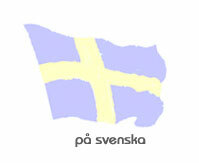 There are no radio styled hits here, the vocals are really strong with a very warm and inviting quality to them. Excellent sound, and the playing time feels sensible and I believe that is very much thanks to the lack of massively long tracks like we hear on some of their genre colleges albums, the longest track on this album is a little over eight minutes. There are however, some slower parts that I could have done without – but that is probably the only slightly negative thing about the album. It is really great this one, besides the slightly negative about some slower parts I think the album offers only quality and feels like a really strong one. The opening track is one of the real highlights, not just of this album but also of the entire year so far. And besides that excellent opening title tracks there are other noteworthy tracks like the third one called Knucklehead and the penultimate one called Twisted World Godless Universe. If the previous album was a step backwards compared with the great debut, this is a clear step forward and I would describe it as their best album so far – it is really that great. Highly recommended album with strong songs, an album that one wants to sing along with, at least when hearing tracks like the title track. I think that it is an album that will go down well with a wide variety of music fans and I recommend that you will check out this album, as it is very enjoyable. These mute gods speak volumes and should appeal to both the atheists and believers.